Multi Level Marketing or MLM is a marketing strategy whereby a marketer not only gets a commission from their own sales but also a percentage of the commission of the marketers they recruited into the business. This business model is also known as network marketing. The recruited marketers are known as Downline and they are the most important component of the business as they are what sustain the business by quickly popularizing the products over a large geographical area. A person signs up with a company with the intention of marketing the company’s products. The person may buy the company’s products which at that point, are usually low priced then recruit’s a number of people to market the products while also marketing the products to potential customers. The recruited marketers may in turn also recruit others to help market excess stock or for the sake of earning a commission. This creates a pyramid like network originating from the original buyer of the products(known as the Market Leader) to the recruited marketers. Network Marketing has several benefits to both the MLM company and to the marketers. 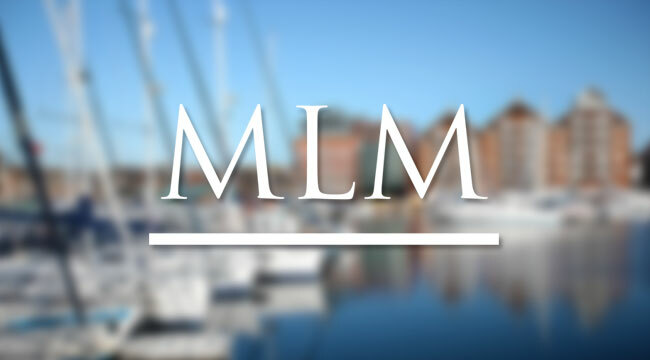 MLM is one of the fastest ways of spreading products over a wide area geographically both online and offline. If the product is of good quality and the customers like it, the product can become very popular in a short period of time. It saves the product maker a lot of money in terms of advertising costs as the marketers do it on their behalf. Marketers, in particular, the market leader and first and second level marketers, can earn a passive income without marketing any product at all once they have built their downline as the commissions they earn from the sales of their downline may be large enough to live on ar at least make it unnecessary to do any further marketing. Multi Level Marketing has however been heavily criticized due to several reasons; exaggerations of the amount of money that can be made, focus on building a downline over selling the products , high initial entry costs which usually force the marketers to also buy the products and their resemblance to Ponzi schemes. Although many companies across the US both online and offline use multi level marketing as a way to distribute and sell their products, there has been a high failure rate in this industry and many MLM programs have collapsed with the product makers and market leaders disappearing with the fees paid by marketers on the downline so as to stay on the program. This is why care has to be taken whn choosing the right MLM program to join. Factors to consider when choosing an MLM company. Before joining an MLM company, it is important to do extensive research on the program. The product should be unique, it should not be available elsewhere on the internet especially at a lower price than what the MLM you would like to join is selling at. The product should be able to satisfy a unique niche. This means that the product will be in high demand as it will not have any competition from other products as they will not be in that niche. The MLM company should be reputable. For companies that are both offline and online, it is quite easy to get information on their financial status. Such MLM companies can be relied on to last for years, even decades earning residual income for their marketers . For programs that are found only on the web, it is best that research is performed on the products themselves rather than the company . Many of these MLM companies often have unique products that may have a high sales turnover in a relatively short period of time thus are worth joining. For online companies, it is usually advisable to join a company that is at least 18 months old. One can judge whether an MLM program will last by how it is run. The company managers should have prior experience in network marketing. The Customer Care service should b able to solve any issue the marketers may have. The processing of payments made by buyers should be easy and a variety of payment options should be available. Payment of commissions to marketers should be on schedule. The managers should be ambitious and with a plan to expand their program worldwide as the most successful and sustainable MLM programs are those that are targeting a global market. There should be a forum within the program where marketers can share ideas and strategies thus newbies can learn from experienced marketers and thus improve the overall performance of the products in the market. The managers should also be able to build relationships between them and the marketers as well as encourage cooperation between market leaders and their downline as well as between marketers at the same level.